Send your loved-one a greeting card with a difference! 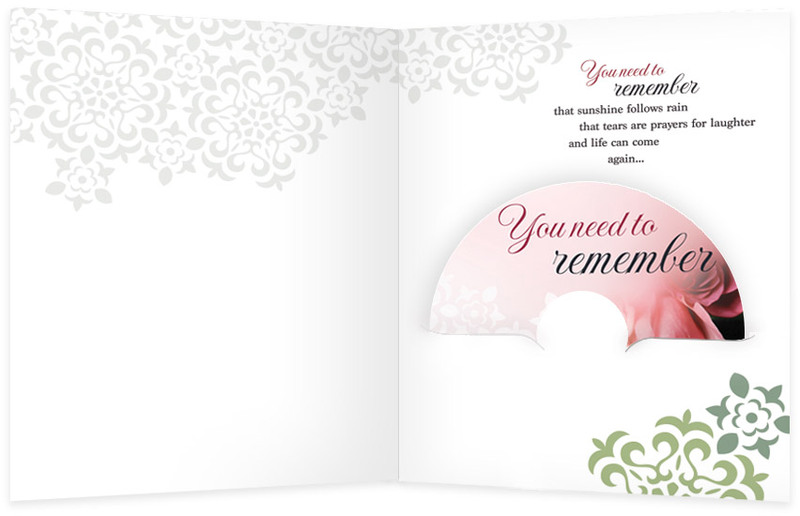 This beautiful greeting card includes the heart-touching song, You Need to Remember on a cd. Do you know someone who is hurting? 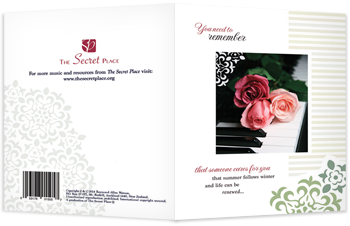 Let their hearts be comforted as they open the card, play the cd and listen to the words of the beautiful song, "You need to remember that someone cares for you ..." Space is also provided on the card for your own personalized hand-written message. This beautifully designed greeting card is perfect for almost any occasion. Professional graphics on quality textured paper sets this card apart as a specialized item. Remind your friends and family that someone cares for them at this time. Click here to preview the card. Buy a minimum of 5 greeting cards for a discount of 30%. 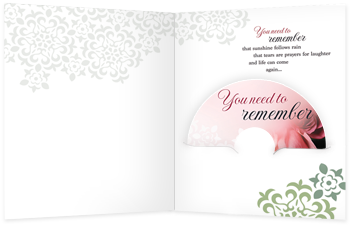 Order 5 or more of the You Need to Remember greeting card and pay only $6.98 per unit (a 30% discount). Simply click on the "Add to Cart" button below. The default quantity is 5, however you can increase this quantity if you would like to purchase more. Don't forget to click on "update" to update the cart quantity. Much of the music of The Secret Place is designed to provide hope and encouragement to people facing difficult circumstances. 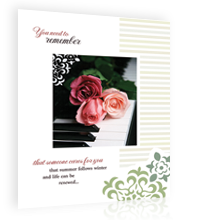 The greeting card You Need to Remember provides an opportunity for people to give the gift of music to others in a greeting card format that will offer hope and encouragement. 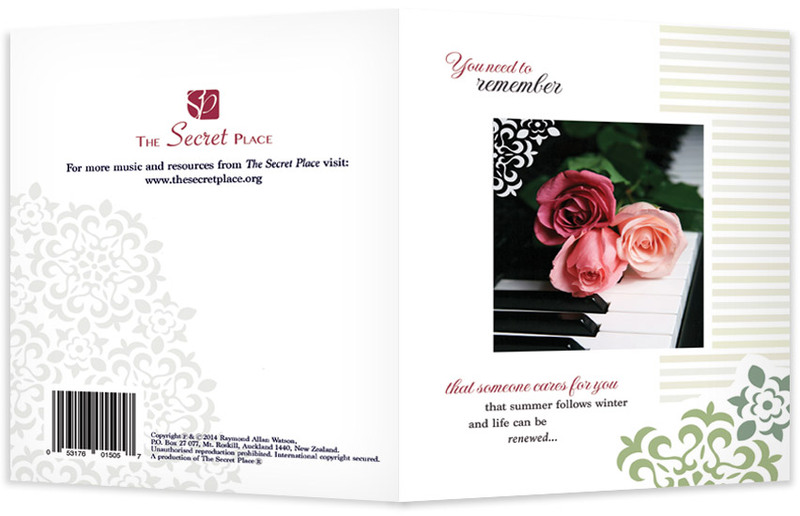 The greeting card includes the song You Need to Remember in cd format. Click here to view the inside of the card. Show your love and support to friends and family who need to feel encouraged or comforted. The lyrics to the song You Need to Remember provide inspiration and comfort that there is hope for the future and �life can come again�. Be a giver of hope and encouragement to those experiencing heartache or in difficult situations with this inspirational greeting card. "Stumbled across your music during the beginnings of a period of personal restoration... It has been food and drink to me for the past few days."